Melt butter in a saucepan. Add Lemon zest & juice & 1 tsp Thyme Mix & set aside. Take the giblets out of the Turkey , wash & dry the cavity & outside of the Turkey. Place Turkey in a large roasting pan, Liberally Salt & Pepper inside the cavity of the Turkey. Stuff the Turkey with the bunch of Thyme, halved Lemon, Spanish onion & Garlic halves. Brush the outside of the Turkey with the melted butter and season with salt & pepper. Tie the legs together and tuck in the wings to the side of the body. Cook for a further 1 hour, baste & turn again if necessary. Keep an eye on the temperature and add wood as necessary, remembering the best heat is from hot coals. 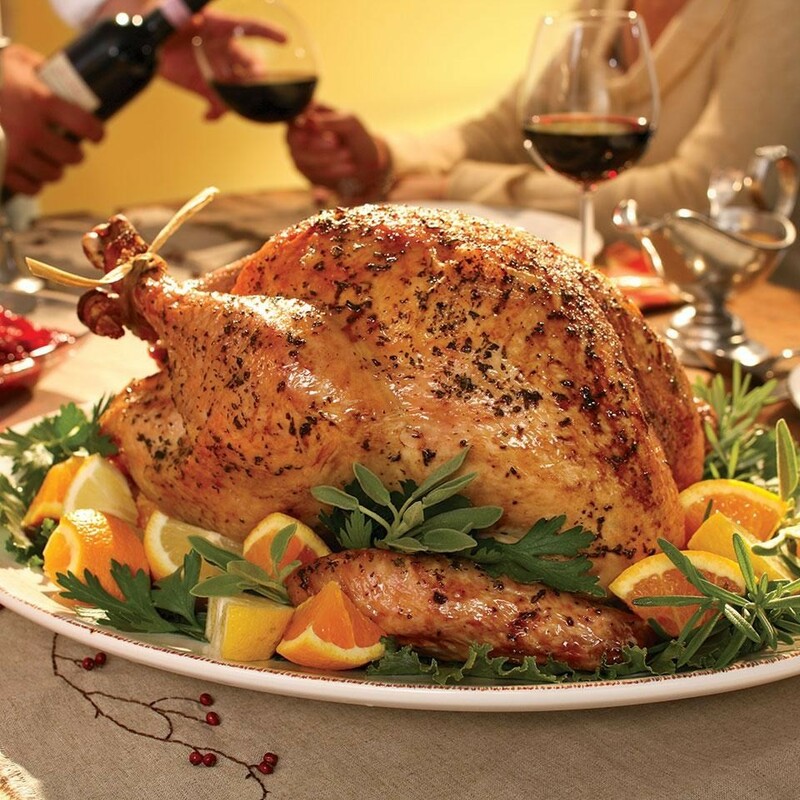 The Turkey is cooked when the juices run clear when cut between the leg & the thigh. Remove from oven, cover with foil and let rest for 20 minutes before carving. Serve with your favourite gravy and cranberry sauce.